The Original Upright Posture Walker! A Revolutionary Breakthrough in Mobility! 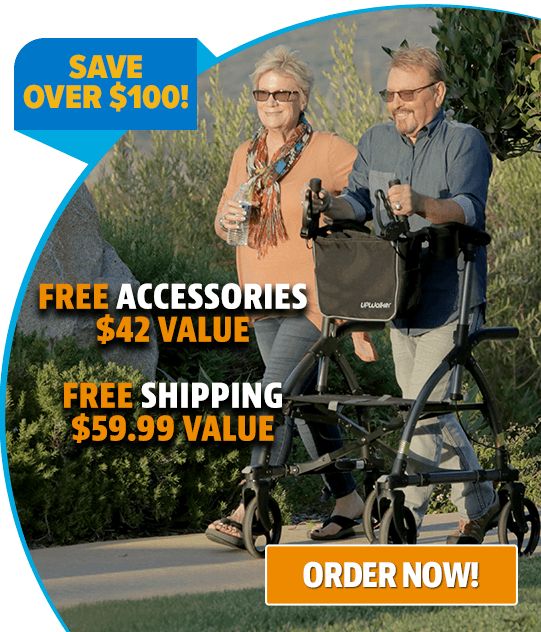 The UPWalker addresses the deficiencies of conventional walkers, including fall risk, slouching, and lack of user confidence and comfort. 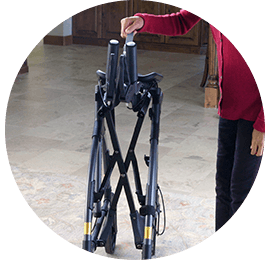 Unlike walkers that force you to hunch over putting painful pressure on your wrists and back, the UPWalker is designed to support you in a secure upright position giving you better posture so you have more confidence and less pain. Feel More Independent and Secure On Your Feet Now! 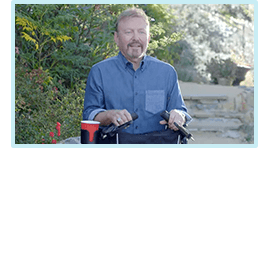 Immobility can slow you down and limit your activity, forcing you to miss out on all the enjoyment life has to offer. 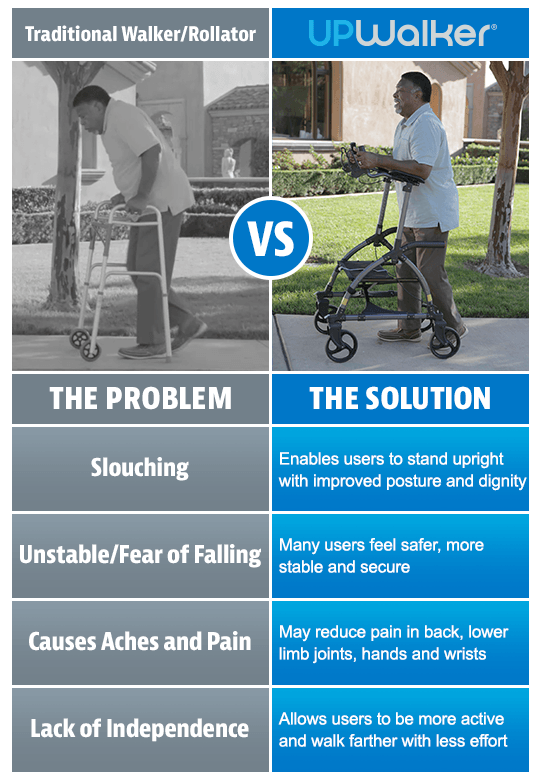 The UPWalker may help you maintain an active lifestyle both inside and outside. Use the UPWalker for daily living, shopping, exercise, and social events! 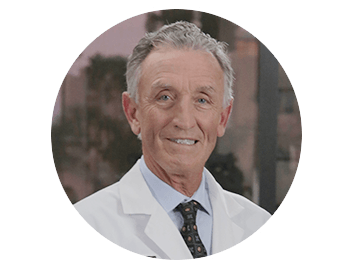 CLICK HERE TO READ MORE REAL REVIEWS! Padded armrests enable users of varying height to stand tall and look ahead with confidence and dignity. 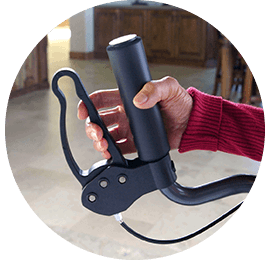 Ergonomic handbrakes are easy to use for better control, stopping and parking. 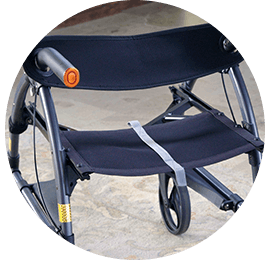 Fabric seat with backrest support slides front to back for sitting or walking. 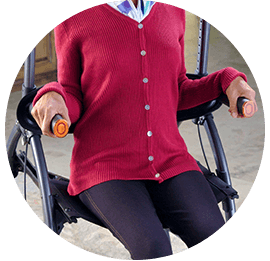 Padded handles make transition between sitting and standing easier and safer. 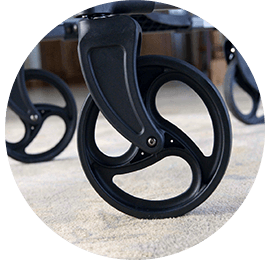 Large 8-inch rubber wheels help to move smoothly over bumps and uneven surfaces. Stylish, lightweight 23-pound frame folds easily for transport and storage yet strong enough to support 300 pounds. 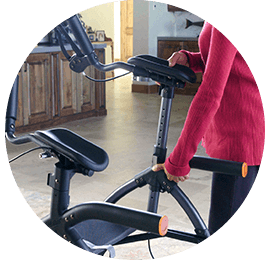 3 size choices to accommodate user height from 4'4'' to 6'4'' and weight up to 350 lbs. “I no longer feel trapped. “With the UPWalker I’m not leaning over. 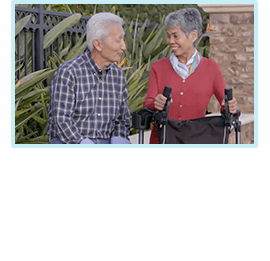 Perfect for seniors, rehab patients, and users with neurological, cardiovascular, pulmonology and other health disorders. UP Your Mobility • UP Your Confidence • UPLIFT Your Life! *This example payment based on the listed product price of $645 assuming an 18 month term loan and a 9.99% APR. Your terms may vary and are subject to credit approval. Rates range from 0% to 29.99% APR. Bread® loans are made by Cross River Bank, a New Jersey Chartered Bank, Member FDIC. Small and Standard UPWalkers are priced at $645. Large UPWalker price is $695. 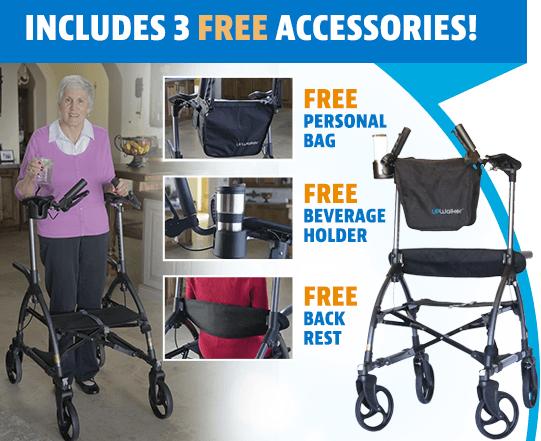 All include Free 3-Accessory Bundle & Free Shipping anywhere in the Continental U.S. With our free standard shipping and handling, you should receive your UPWalker in 8 to 12 business days. Your Height: 4'-4" 4'-5" 4'-6" 4'-7" 4'-8" 4'-9" 4'-10" 4'-11" 5'-0" 5'-1" 5'-2" 5'-3' 5'-4" 5'-5" 5'-6" 5'-7" 5'-8" 5'-9" 5'-10" 5'-11" 6'-0" 6'-1" 6'-2" 6'-3" 6'-4"
to discuss with a company representative.